Here is a guitar neck I have had in storage for a couple of months now, intended for a Les Paul style guitar for our private collection. I had it commissioned by a great luthier Owen Jackson, and had it in a wardrobe while I was finishing the body with Wudtone clear. 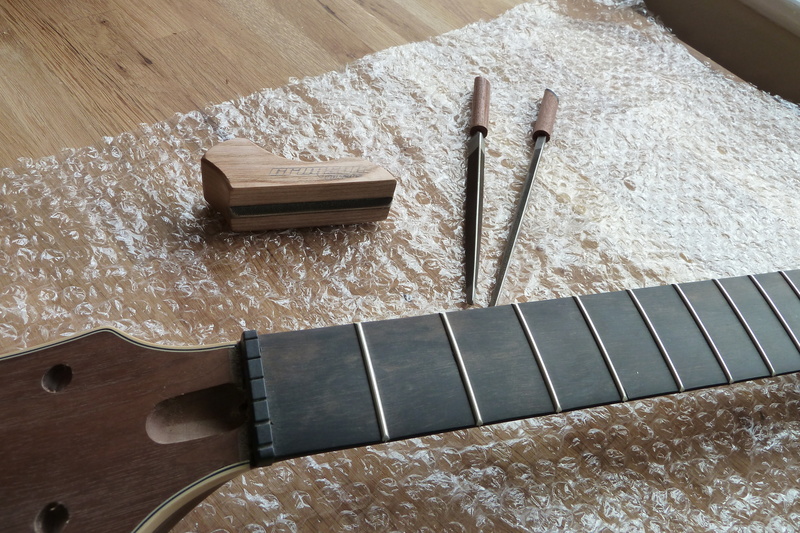 When I recently took it out to start prepping for a headstock inlay, I noticed the Ebony fretboard had contracted slightly, causing the fret tangs to become exposed. These can quickly be filed back flush with my new Crimson Guitars fret shaping files.